Vertical Systems Reseller Magazine this month published 46 predictions for 2015 by Channel Executives of all backgrounds. Tell us the most significant changes you saw occurring in the channel in 2014. The most significant change is around market sizing and demographics. We all expected the channel numbers to rebound from the 2008 recession along with the rest of the economy. We are down 36% in total channel companies world-wide with another 10 to 15% decline expected in 2015. The other piece is the average age of the channel continues to increase – even with new born-in-the-cloud vendors hitting the scene. It is expected that 40% of current channel professionals will retire in the next 10 years. Even more significant, is that the 75% of the entire channel will be made up of millennials by the year 2024. What do you think will be the most radical shift for the channel in 2015? There are very few radical shifts in the channel. The transformation from client/server and traditional break-fix into cloud, mobility & managed services has taken almost a decade – with no end in sight. However, the trends we are seeing today will create some radical shift in the years to come. For example, the managed services market has stagnated – with flat growth over the past 3-4 years. Only 12% of channel partners drive over 50% of their revenue in a recurring model. Predictions from a few years ago would have over 50% of them driving their revenue this way. What must solution providers do to stay relevant in 2015? Give us your #1 piece of advice. Channel partners have always been highly adaptable and tend to gravitate towards opportunity. The shift of over 50% IT spending from the IT department to lines of business have partners building new relationships with sales, marketing, HR, operations and finance executives. Understanding how customers buy is also key to stay relevant. Researching real-world trends around cloud and SaaS purchases in your industry and geography, not what they hype would tell you it should be. Also, understand that the growth of software recurring revenue models hasn't translated into services and hardware recurring at the same level. 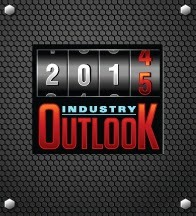 Does your company have tools or resources that may give solution providers a leg up in 2015? We build a mobile platform with numerous tools that solve big challenges for channel partners. Working with over a hundred vendors, we have found new and innovative ways to communicate, educate, grow and motivate partners. Another area we are investing heavily in is “big data” for the channel. Understanding actions and behaviors and being able to predict and prescribe next best actions. Measuring the success of channel programs has always been difficult and many of the direct sales tools that have come to market in the past few years don’t work well in this environment. What top 3 emerging technologies will be most important to the channel in 2015? average customer has 3 devices each today and that is growing to 10 by 2018. The internet of things will get a shot in the arm with the launch of the Apple Watch in 2Q. The iPhone convinced people they needed 2 devices in 2007. The iPad and e-readers increased it to 3 in 2010. The Watch and other fitness devices will increase it to 4 and 5 by the end of 2015. The channel opportunity is when companies find valuable uses for these devices in the business world and need them integrated into the corporate network. Software defined everything, hybrid clouds and 3D printing will also take hold and be the source of new practices being built by channel partners. While the channel is experiencing some of the biggest shifts in size and demographics that we have seen in 30 years, the opportunity to recruit, develop and grow a highly engaged and motivate base of partners has never been stronger. Those partners that survived (and thrived in) the past 6 years with massive economic and business model turmoil, are incredibly well positioned to take advantage of opportunities in 2015. As the cloud matures, fear and uncertainty in the channel has turned into anticipation and even excitement. The complexity of IT continues to accelerate and the opportunities are growing faster than ever. Even the barriers to entry are increasing, meaning that new competitors, fresh from their A+ certification, aren’t setting up shop in your town.